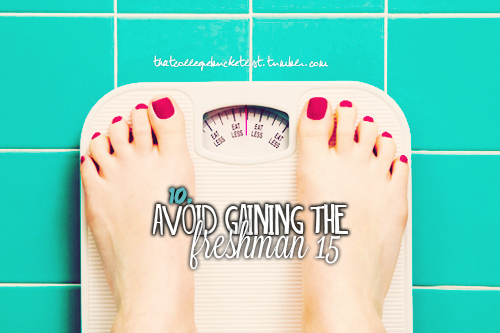 For the clueless, the Freshman 15 is the number of pounds a freshman gains in his or her first year. To be completely honest, if you are moving out of your home and into residence, you are susceptible to gaining some weight. However, most people are not going to gain 15 pounds or more within a few months. If your body weight has been steady for the past few years, chances are that it will continue to do so even in college. I know a few people who gained the Freshman 15 (or 25), but the vast majority gained a few pounds at most or not at all. If you are still scared, take in these tips! Choose your meals wisely from your residence cafeteria and when eating out! Your cafeteria will be chockfull of fried and instant foods, caffeinated and carbonated drinks, desserts and snacks. Add some salad or fruit to your meals (there’s no one to make you finish your greens anymore) and keep pizza, pop or ramen noodles to a minimum. Also, late night eating should not become a regular routine. If you don’t know already, overconsumption of alcohol can add to weight gain. A 12 oz. beer has 150 calories and a 4 oz. margarita has 270. If you want to maintain your figure, keep these to a minimum. Your school will come with a gym or rec centre. Take advantage of this! Try to add a steady workout regimen to your week. Don’t just exercise your brain with readings but exercise your body too. It’s true that you will face different and maybe more difficult problems than you did previously. But these new issues won’t be harder than you can manage. Life is full of ups and downs and there’s no need to get anxious about problems that haven’t happened yet. In some ways, life becomes easier because college tends to have less bullying, cliques, and less of a popularity hierarchy. You might have heard the rumor that your average will drop at least 10% from high school. This myth is partially true because good grades are harder to obtain. 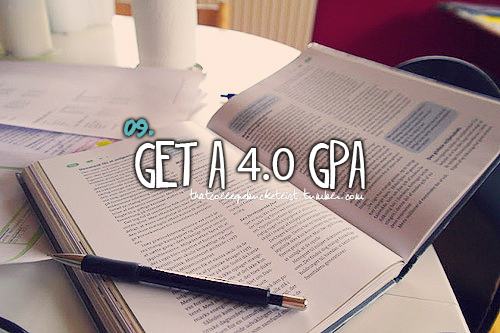 But don’t worry; averages tend to rise as the years ensue and you learn the proper way of studying and writing exams. If you’re still skeptical, take in this advice. Find good friends (not mean girls or gossipy girls) who won’t create drama and will be with you during hard times – as you will for them! In terms of marks, just keep up with your readings and attend your classes! You’ll find it’s much too easy to hit the snooze button and miss your morning lectures and much too tempting to go out with your friends rather than go to the library to study. A lot of problems simply depend on how you look at them. Maintain a positive outlook on your life and have self-confidence in yourself! 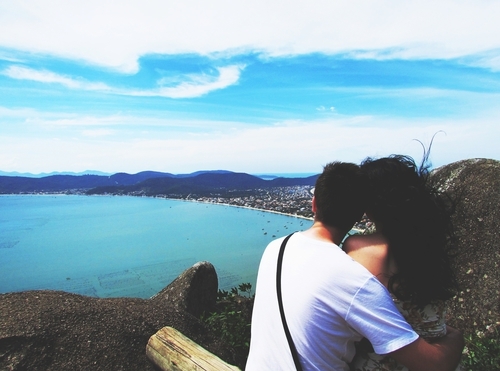 If you’re going through a problem – decide whether, in a year from now, this will even matter. Don’t sulk and complain about your struggles, go out and try to fix them or at least make the best out of your situation. Is She Worthy of Your Attention?